Our Non-GMO Soy-Free Layer Feed Supports Egg Health Without Potential Allergens. An increased number of people have been choosing soy-free meat and eggs in recent years due to a trend in soy-related allergens. We provide the same critical foundation in our soy-free layer feed as we do in our original layer feed recipe, only without the soy. 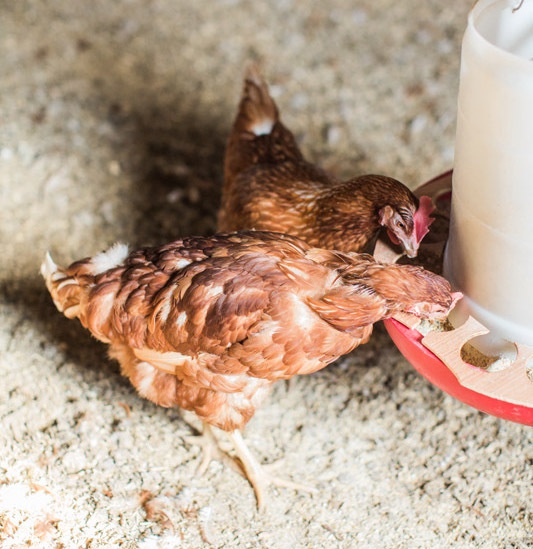 Our layer feed has a high calcium content to make egg shells stronger and promote rich and flavorful eggs from healthy hens. Our commitment to ethical farm practices for all-natural meat and eggs extends to our decision to offer soy-free feed for discerning farmers. Our soy-free layer feed contains no added hormones, no antibiotics, and no medications. We can adjust the coarseness of the grain to your specifications with our on-site mill. Sunrise Farms also produces non-GMO custom feed to suit your needs. Four Way To Purchase Sunrise Farms Non-GMO Soy-Free Layer Feed For Your Convenience. Dealers throughout Virginia carry our non-GMO soy-free layer feed for purchase. 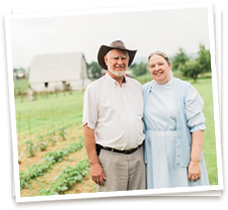 Look for the Sunrise Farms label for your trusted non-GMO feed. 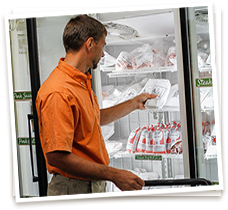 We supply orders at our farm storefront, conveniently located just 3.5 miles off I-64 at exit 91. Call ahead to have your non-GMO feed order in all quantities ready for easy pick up. 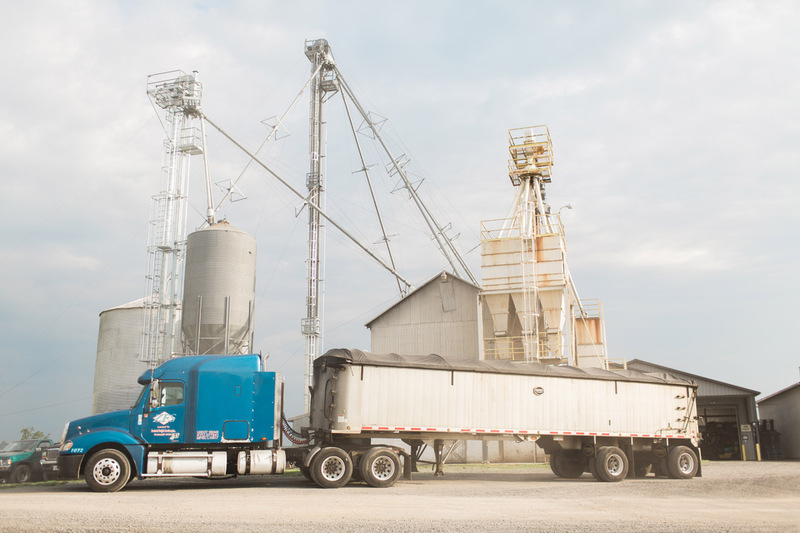 We also offer regional feed delivery and feed shipping throughout the contiguous United States. Feed is sold in 50lb./22.68kg bags and by the ton. Peas, Corn, Oats, Linseed Meal, Calcium Carbonate, Fish Meal, Dehydrated Alfalfa, DiCalcium Phosphate, Dehydrated Seaweed Meal, Salt, Sodium Selenite, Vitamins A, D3, and E Supplements, DL Methionine, Choline Chloride and Citrate, Menadione Sodium Bi-Sulfite Complex, d-Pantothenic Acid, Niacin, Riboflavin, Pyridoxine, Thiamin, Vitamin B12, Biotin, Folic Acid, Polysaccharide Complexes of Iron, Manganese, Zinc, Copper and Cobalt, Yeast Culture, Lactobacillus Acidophilus Fermentation Product, Bacillus Lichenformis, Bacillus Subtilus, Lactobacillus Iactis, Streptococcus Faecium, Protease Enzyme (dried Aspergillus Oryzae Fermentation Extract). Contact Us For Non-GMO, Soy-Free Layer Feed Today.